The name ‘All Res’ comes from the fact that everything for the edit was filmed off a load of different peoples Iphones, cameras, go pros and some potatoes, given the large variations of filming Seth Hughes has done an insane job of the edit. At the start of the season I was super keen to film a season round up edit, which proved to be a lot more difficult than anticipated without set filming weeks during the season and without a filmer coming out during the season at all. Pretty much all the shots have been taken through being in the right place at the right time, one of the boys were already filming someone else, or just a one shot film session. 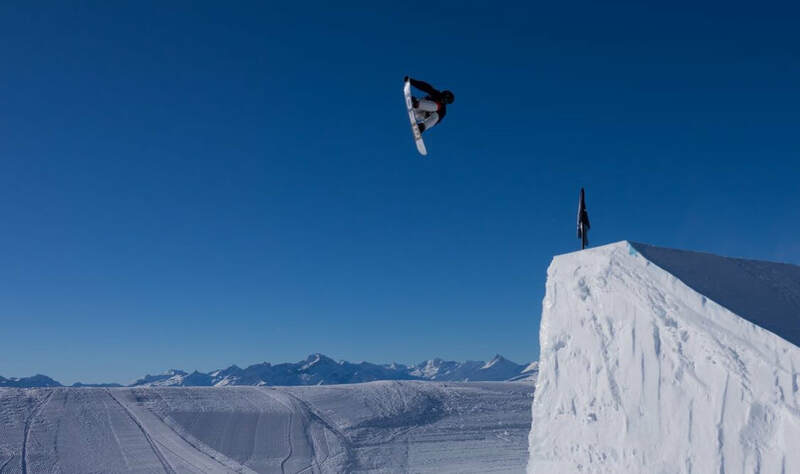 The majority of the edit is filmed in the freestyle haven of Laax snowpark who provided the goods for another season this year, with supporting shots from the scenic pre season trip to Stubai Glacier and a two week spring trip to Mottilino snowpark cut short by blowing out my ankle. ​Stop Press!! I'm proud to announce I'm now supported by Active Aberdeen Partnership for the coming season 2018/19. QUIKSILVER YOUNG GUNS 2017 - please click on the button below to see my edit in the Young Guns competition to win a weeks boarding with Travis Rice. It will help me if you can LIKE and SHARE on Facebook - the video runs for a couple of minutes. Thanks for reading. I flew out to Switzerland and spent a few days in Lenzerheide to ride more powder before making my way to Laax where I would be training for the next few weeks. Just a few days into training, On 11th February I landed my first triple which I'm stoked about! 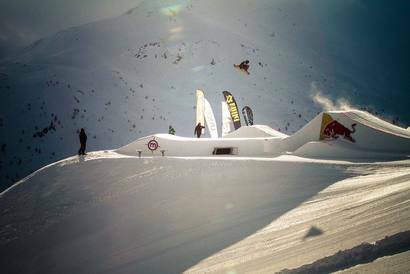 In January I headed to Livigno for the World Rookie Fest. Due to the lack of snow in Europe during December the course really wasn't great but considering it wasn't too bad. I think I would have done a lot better if the jumps were bigger but everyone was in the same boat. I was still pretty happy to make it to finals and finish 11th out of 80 competitors and the level was super high. After we headed to Laax for a days shred before I came home which was super good fun and productive. 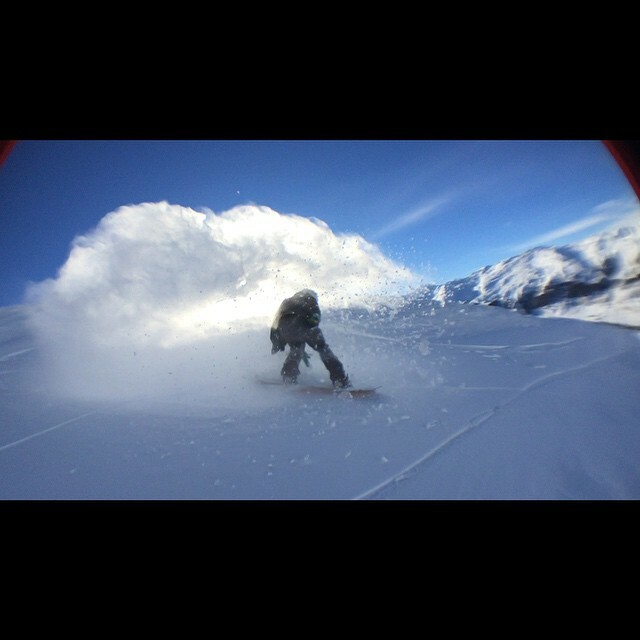 Laax was filled with pow and a good rail line and we rode until last lift so was pretty tired the next day. We came home the next day to smash out some college work before I head back to Laax in February. December had my second trip to Colorado in store which was really good fun last year so I had high hopes for this year again and especially with me staying out a week longer this year. It did not fail to disappoint with the park in keystone being sick for the first two weeks I was there and las year I learnt a lot on their rails and this year was much the same. 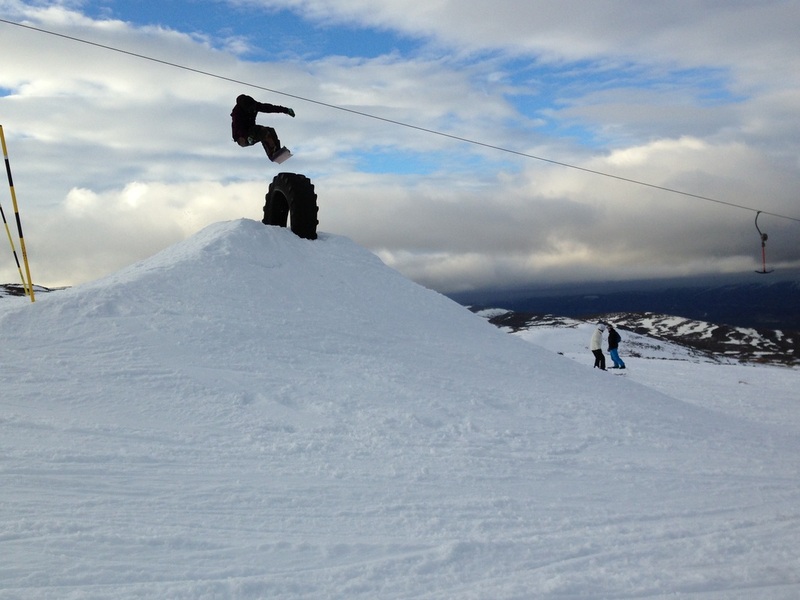 I also got some jump time as well and managed my first doubles of the season which was rad. When the pro line in Breckenridge opened I was mainly concentrating on Backside spins and I was stoked to get some early time on big jumps and managed to change the way I do my backside double tens a bit which will make it easier for me to progress. After I came home from Saas Fee I started my new course at college which allows me to travel to wherever I need to be to compete or wherever the conditions are best for training which is really good and will allow my progression to have a much better flow. I also completed my BASI 1 at Hillend which was good fun, and I tried to do as much shadowing whilst I was home so I could start teaching in October. In September I rode a lot of dryslope whether it was shadowing or training for myself which was super good fun under I hit my knee off the end of a rail and I couldn't ride for a good while which setback the date I could start to teach. Instead I just tried to get a lot of gym work and physio done to get my knee in a better state to start riding again. Much of October was the same apart from when I was cleared to to start shadowing again, and then finished my shadowing. The start of November was when the Scottish Dryslope Championships was held in Bearsden which was really good fun to see some of the guys I hadn't seen on the Park and Pipe Academy for a while which is always good fun. The standard wasn't super high but was still good fun and was good to see some progression and new tricks learn in the comp. In the end I was stoked to come away with the Open and Overall titles. This was rad because this means I am now the Scottish dryslope Champion for 2 years in a row. I also started teaching at the dryslope which is really good because it feels like I'm giving back to the community who has made me who I am today, and it makes me think about things I go on my board without even thinking so it definitely is making me a more rounded person. In July I travelled out to Saas Fee, Switzerland for 3 weeks training with the Park and Pipe academy which was really good fun, the first week and a half the pro line (big jumps) were not open the first week and a half so I got as many lines on the mediums as I could put down which I felt really benefited my overall jump riding spinning all 4 ways in one line way more than amusing until the pro line opened. When the pro line had opened it was pretty much immaculate during the mornings and a lot of the days I couldn’t have asked for much more off the shapers which was sick. Was super stoked to get some new grabs in tricks I already had and tried a few new tricks, which didn’t quite go my way but next time I have the chance I’m sure I’ll have them. May was a very quiet month for me as my final exams for school had started so I didn’t go anywhere to train because I had to be at school. But with the summer starting it was time for me to start smashing out the gym work and start shredding the dryslope properly again. In June my favourite UK annual competition Go Big Or Go Home was hosted by Bearsden dryslope, Glasgow. It was really stiff competition as always and I was stoked to win under 16s and come 2nd overall through a pretty intense ride off. Was still sick to see everyone and had an amazing time as always. April was a pretty busy month as I was still preparing for my final exams in May, and I went to Austria for 2 weeks. Just before I went to Austria to train/compete I competed in the Scottish freestyle championships which was held at the Cairngorms which was really good fun and I was stoked to become the under 16 champion and the overall Scottish Freestyle Champion. The first week of the trip I went to the World Rookie Tour finals which my 4th place in Livigno had qualified me for. I found the course really hard to ride and couldn’t quite put down the run I wanted to do in practice and I fell on both runs trying my back double 10 but its all part of the learning curve. The second week I went to Stubai for a few days with the team which was sick although very cold in a hoodie. I was stoked to throw some back double 10s and 12s I also rode quite a lot of rails again and again consolidating my rail tricks on higher/bigger rails. I then went back to Hintertux to stay with my family. 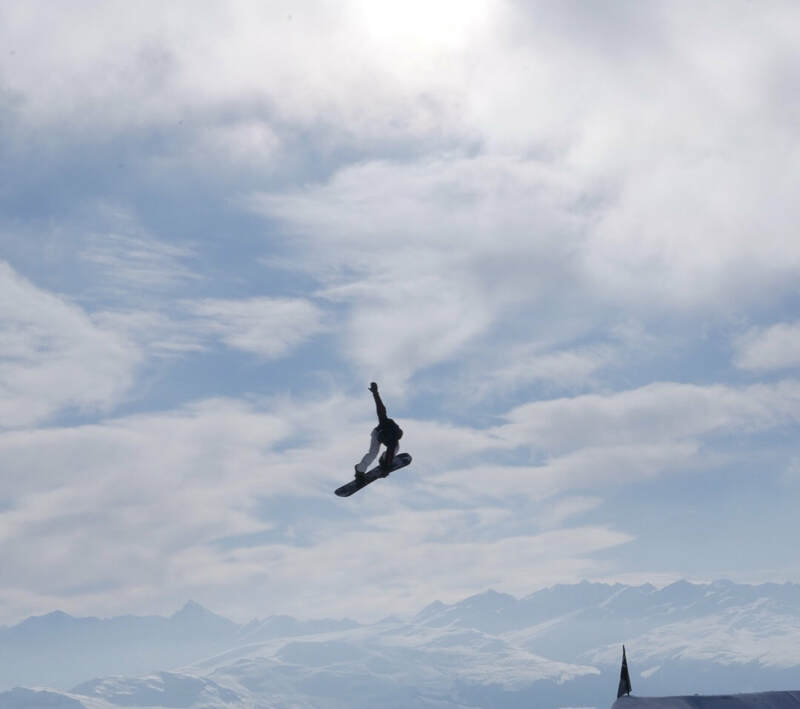 The park at Hintertux was sick and I was stoked to get some more back double 10s and I learnt front double 10s that I had tried in Keystone in December and was the perfect way to end my season. 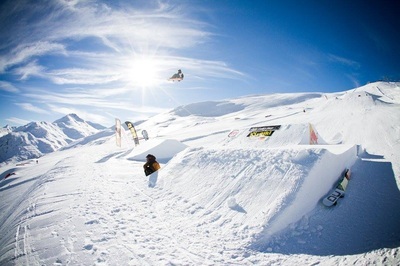 Italy- So the reason for this trip was to enter the World Rookie Fest, Livigno event. This year I will be competing in the Rookie category which is under 18s. 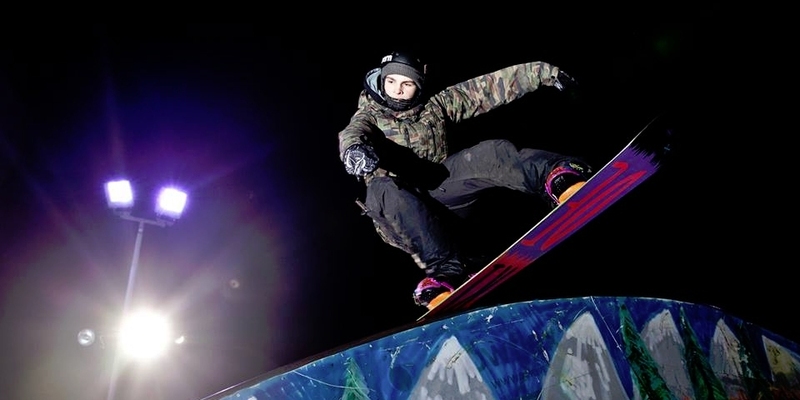 The World Rookie Tour is a series of slopestyle and halfpipe events. On 9th January I travelled out with my coach to Livigno, Italy. We flew to Zurich and drove across to Italy. Which was an interesting journey to say the least. We arrived a day earlier than qualification day so took advantage of the spare day to cruise the mountain. Qualification training day was stormy to say the least! After one run down the course the organisers stopped the event due to hight winds. Qualification day weather was much better, blue skies and no wind. The standard was high and there were over 60 competitors in my category. 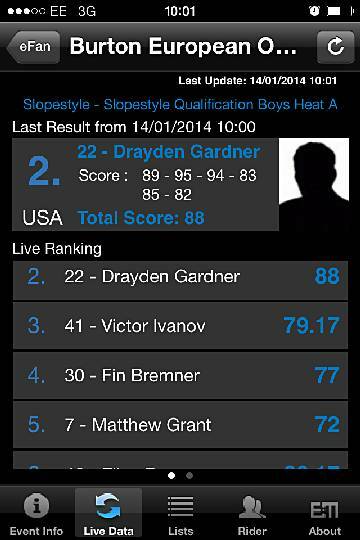 Qualification went well for me and I was happy with my 2 runs. We then had to wait until the evening to find out what our results were. There were just 16 places in the finals. Results came in the evening and I found out I had qualified 8th which I was happy with. I knew I had more to give in the finals and could improve my runs. we had a day off in between qualifications and finals so enjoyed cruising the mountain which was fun. Finals Weather for today was not meant to be very good. So I was happy when we arrived at the top and it was blue skies and the sun was out. After an hour of practise the big finals went off. With just 16 of us we were to have 3 runs and the best one counts. My first run went well and the run planned came together. The second run went even better and I was happy with that. The weather came in for the third run and everyone struggled with visibility. The agonising wait before prize giving felt longer than a few hours. I knew I had landed the run I wanted to but was desperate to know where I had placed. I read the final rankings and I was happy with 4th place. I have a good couple of years to compete in the Rookie Tour and I hope to do even better at the next event. Below is a video of my run for the finals, and a few photographs. December 31st- Yesterday was a busy day! 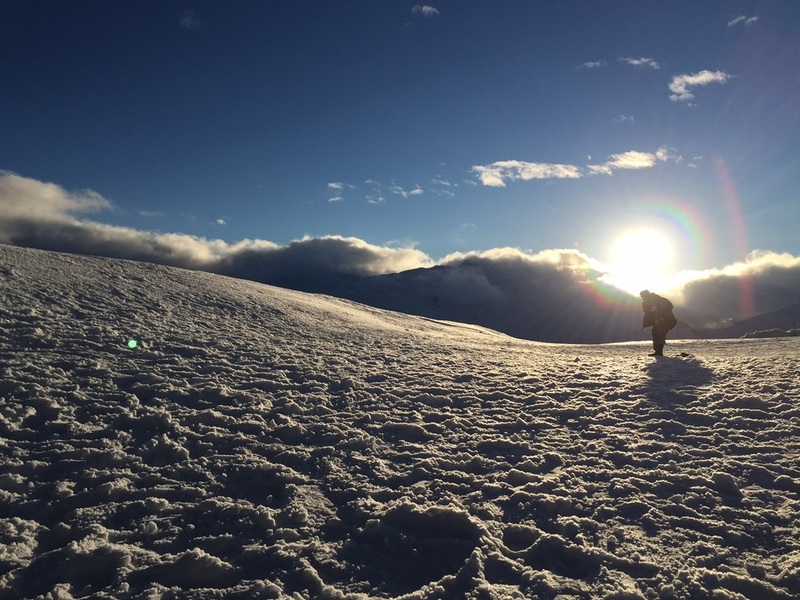 I travelled up to Cairngorm Mountain where I had a fun day cruising the mountain. A few guys I know from Aviemore have been shaping a freestyle park and they've done a great job so far so Im looking forward to seeing what they can create over the winter. The weather up there was great, low winds and good visibility. I booked flights for next weekend to travel out to Italy for a week. Im really looking forward to this trip....more news to follow! December- On December 1st I travelled to Breckenridge, Colarado to spend the next two weeks with the GB Team. This was not only the first official trip with the team but my first training in the States. Id bought a season pass for this year and trained in Keystone and Breckenridge. The weather was great and the resorts facilities were sick ! After my days on the snow I continued my training in the gym or at woodward which is an indoor facility with trampolines to perfect my spins. This is a place Id only ever seen in edits and it was rad! Before heading to Breckenridge I'd spent an evening at Garthdee filming for my latest edit with Joe Hart. A huge thanks to Dave Jacobs and his team at Aberdeen Snowsports Centre for making this happen. I hope you enjoy the final product which is above. November- So far this month has been rad and the second weekend of the month we had the Scottish Dryslope Championships at my home dry slope which was good fun and I won my category (under 16) and the overall Scottish Dryslope Champion for snowboarding. Im hoping to get some photos on my website soon. October- I had a busy month in October, after being nominated for the Aberdeen Sports Awards I attended the ceremony and was stoked to have beat all the tough competition to become 'Aberdeen City Junior sports achiever of the year' . 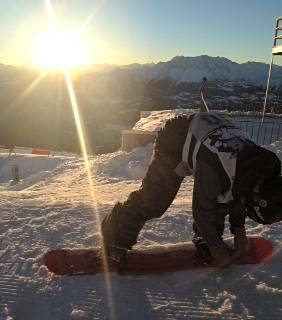 I also travelled to Hintertux, Austria where I spent three weeks, for pre season training which was sick. Hitting my first big jumps of the season and picking up where I left off at the end of last winter felt good and I couldn't have had more fun although the weather was not the greatest. I have been selected to the GB Park and Pipe Team. I am stoked to be part of the team and can't wait to start training with them. September - I started to make some plans for the winter. I am now supported by The Scottish Institute of Sport. The expertise made available through the Institute will be fundamental to my progression and helps me prepare for my busy winter season. Im very grateful for all the support they give me. During the summer Ive been pretty busy! I spent a week training in Snow World Landgraaf, Holland with the Park and pipe Academy. This was one of the longest journeys by bus Ive ever been on, but well worth it. This is the biggest indoor snow facility Ive ever been to. It has a dedicated freestyle slope with a chair lift serving one of the four slopes. I definitely want to train there again next summer. I was selected to participate in the World Junior Championships (WJC) in Valmalenco, earlier on this year and was a really good learning experience for me as well as getting to compete in my first FIS event. This was an event that wasn't on the cards for this season until about a month before because it was hosted in the Italian alps. I was aiming to compete in it next season but I was invited to ride and I would have been nuts to say no. It was only a short trip of 3 days but still productive. My first run I came up short, on the second jump as I was the last to drop in my heat so I wasn't entirely sure if the speed would have changed since practice, but it had. My second run I messed up my back board pretzel 2 so I though I may as well try claw back as many points as possible by trying my double 10 I had only learnt a month before and only landed once in practice, but I landed it and reverted. Even though I fell on both runs I now know what standard I need to be at for next year and I am fairly confident I will do well next year. I was also pretty stoked with attempting my first double 10 in competition. Props to Katie and Rowan for killing it. Earlier this month I traveled out with the park and pipe academy to Mayrhofen Austria for a week training, I was hoping to train and get a new double. We went up to Mayrhofen the first day to find the jumps I was intending to train on in the Penken park had melted with the recent heat wave. so we rode the pro line knuckles and rode the baby park for a day. We went up to Hintertux the next day and it was pretty windy so we just hiked the rails and I learnt some new tricks too. Then it bucketed down all night with snow so we went up the Penken and it was so sick. 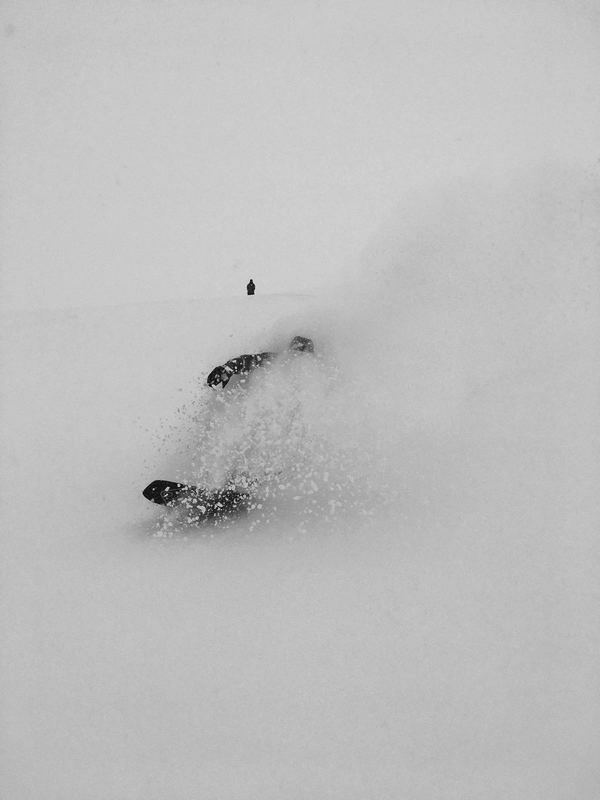 The powder was at some places waist deep and it was so much fun. The last few days we headed up to Hintertux hit some powder and I had a power session with Ben and Barry on the bigger jumps in 'Tux and I learnt flat cab 9s and 10s. Overall it was a very successful trip just not in the way I thought it was going to be. It was also a sick end of season trip to round off a sick season for me and for sure the best one yet. As the season ends I would just like to thank all my sponsors and everyone that has helped me along the way and without you guys I wouldn't be in the place I am in at the moment. It has been my most enjoyable season to date and I already am itching to get back on the big jumps and learn more. Let the summer training commence! World Rookie Fest, Avoriaz, France 3rd/4th February 2014. World Junior Championships, Val malenco, Italy 29th March 2014. Mayrhofen Training week April 12th - 19th 2014. Pretty stoked on 4th at the BEO because I never thought I'd be able to place so high in such a high profile event with kids coming from around the world to compete, and I almost managed to get on the podium despite bad conditions. I think I did the best run i could in the conditions and was more than happy with the outcome. I achieved more than I set out to do which has given me more confidence in my own ability. I have been putting in a lot of time at the gym and at the slope trying to consolidate my higher end spins so I had a large range of tricks to choose from dependent on the course and conditions etc, which payed off in the end. My first run, I was a bit nervous, and I fell on my front three out on the rails but my kicker line went better than my rails for sure. 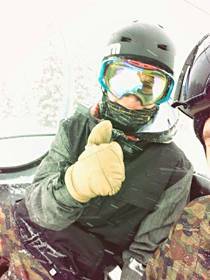 But I felt a lot more composed on my second run after the rails because I knew I could land my kicker run, proving to myself I am near the best kids in the world of my age. Newsflash .... featured on the Whitelines website - "14 Groms who are already better than you'll ever be!" I'm in at No 11. December 2013. Stoked to have had my application to the Burton European Open (BEO) accepted for the third year in a row, it's my favourite competition of the year hence the reason I'm so happy. It's a bit of a trek to get to but it's all worth it in the end. I hope to do well again but my intentions are to do even better than last year, my run is looking a lot more solid. I got quite annoyed at myself last year because I stomped the run I wanted to put down the run after the comp ended but during this year I feel I have become more developed as a rider and I have a larger range of tricks I know I can land nine times out of ten, and a double I could put in if needed, which going by the amount of people my age throwing doubles now I think I will have to give it a go. I am willing to give it a go as long as I have landed it a few more times and I'm comfortable on the jump. Otherwise my plan is to go out do some spinny flips, have fun and try my hardest. I've recently got my email notifying me that I have Elite Status on the GB Junior Squad, totally stoked with this news. This status means a lot in our sport and is hard to achieve. I will be working hard to improve throughout the season. I am supported by Ski Scotland, Glenshee Ski Centre, Cairngorm Mountains, Glencoe Mountain, Nevis Range and the Lecht. Media is really important to the Scottish resorts so I will encourage visitors to these resorts through my own social media. Over the summer I have been training hard and consolidating my higher end tricks, I've been trying switch back 12s but I've decided the jump is too small and it wont look very good so I think I'll try then when I go out to 'Tux on the 12th october. I learnt cab 3s, 5s and 7s off the toes at the matt after a few lead up sessions at well.